Hartenbos is one of the most popular resorts along the South coast of the Western Cape, thousands of residents from the Northern provinces spend their annual summer holiday here. 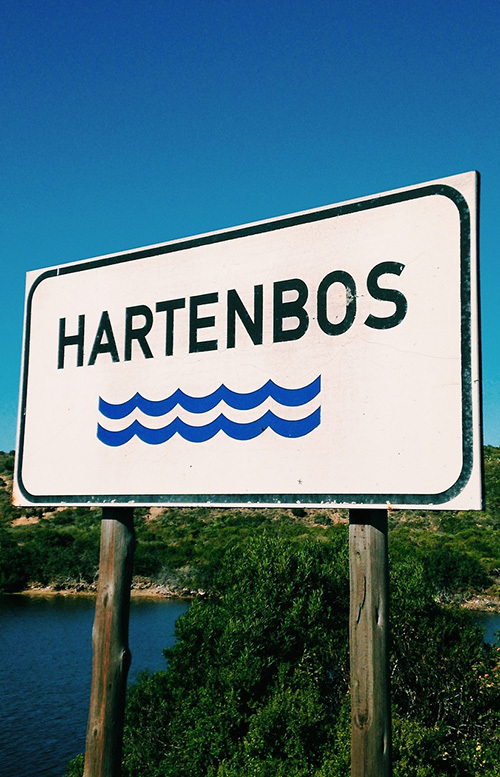 "Everything Under the Sun" is the slogan that personifies Hartenbos with its whitewashed beaches, calm sea and Mediterranean climate. As part of the Garden Route and the Whale Route, situated between Mossel Bay and George, this tranquil town is the ideal destination for family holidays (as for hundreds of other families). The resort is a large resort situated right next to the beautiful and safe lagoon of the Hartenbos River that lends itself to family holiday sport, from swimming to surfing, while angling for Garrick, shad, Grunter and white steenbras is the favorite pastime of the more patient. There is an abundance of birdlife, particularly near the river mouth, which is an active breeding ground for sea birds. Colorful kiosks vending anything from delicious calamari to colorful clothing, line the main street during the holiday season. Hartenbos River Resort is approximately 8 km from the busy Mosselbay and 25 km from George Airport. When you are here you should make some time to visit The Hartenbos Museum that has an impressive display depicting the various stages of the "Great Trek". Whale, dolphin and seal watching are other attractions that draw tourists from far and wide each year. The nearby beach front boasts a heated indoor pool, super tube, bowling green, tennis courts, amusement centre, conference facilities and a stadium where festivals and festive activities take place. Various accommodation options and caravan sites with clean ablution facilities are available. We have a large swimming pool and garden for those of you who would rather enjoy some quite time at the resort and relax. This popular family holiday resort thrives with activity through the peak season with flea markets and live entertainment.